Kulturtanken is the Ministry of Culture agency responsible for art and culture for school pupils. This includes nationwide responsibility for The Cultural Schoolbag (TCS), the centrepiece of the government’s policy for bringing culture to children and young people. Kulturtanken was created in 2016 through the merger of Concerts Norway and the secretariat of The Cultural Schoolbag. The mandate of the new agency was also extended to areas that will help it to continue developing TCS. Although Kulturtanken is an agency of the Ministry of Culture, it works very closely with the Ministry of Education and Research, which is responsible for the institutions where TCS is implemented, namely schools. Together with all of our TCS partners – in county councils and municipalities, at schools and in cultural institutions – Kulturtanken wants to give all children growing up in Norway access to art and to a brighter future. That is our vision and our dream. 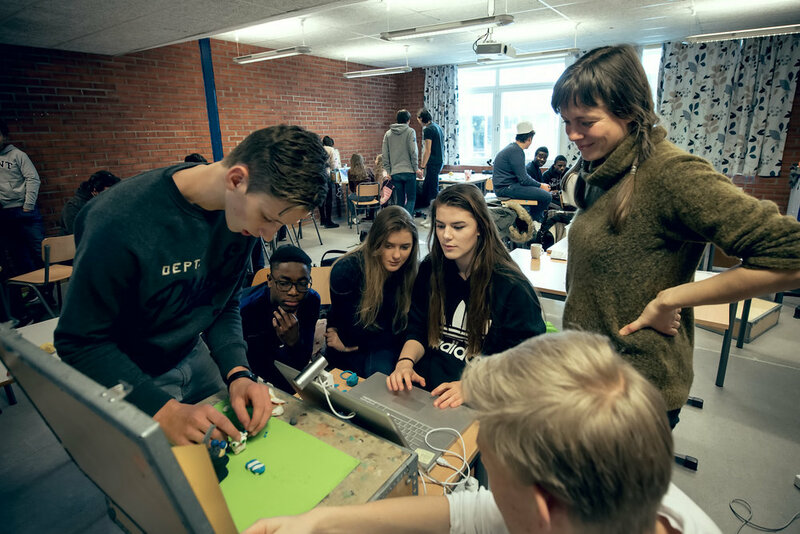 The Cultural Schoolbag can only have any kind of legitimacy as an educational and political project if it caters to all children; it must provide all children living in Norway with a shared frame of reference and joint experiences, irrespective of their nationality, address, wealth and social background. Artistic and cultural expression can transcend norms, languages and social identities, so it can be seen as a force for democracy that can be felt far beyond our national borders, reaching out into the world. Art allows us to experience, participate and reflect in ways that create a sense of community, challenge assumptions and give each and every one of us a chance to develop and grow. Art and culture can help to build a global understanding of something that is bigger than ourselves. Kulturtanken and The Cultural Schoolbag must recognise and understand the traditional distinction between schools as places of learning and art as a catalyst for personal development. There is a need for mutual understanding and insight, for respect for each other’s knowledge and limitations, and a willingness to view each other as resources. Kulturtanken will provide advice and other services to the central government authorities involved in the culture and education sectors, thus helping to establish a political framework and working to improve national initiatives. Education and training in schools and training establishments shall, in collaboration and agreement with the home, open doors to the world and give the pupils and apprentices historical and cultural insight and anchorage.